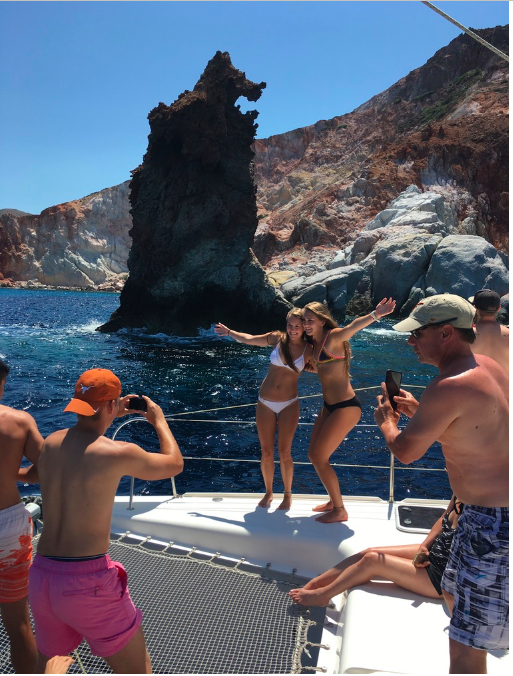 Our meeting point is at Adamas port at 09:00 a.m. With our van we continue for Pollonia there is the catamaran and from there we start our beautiful cruise. 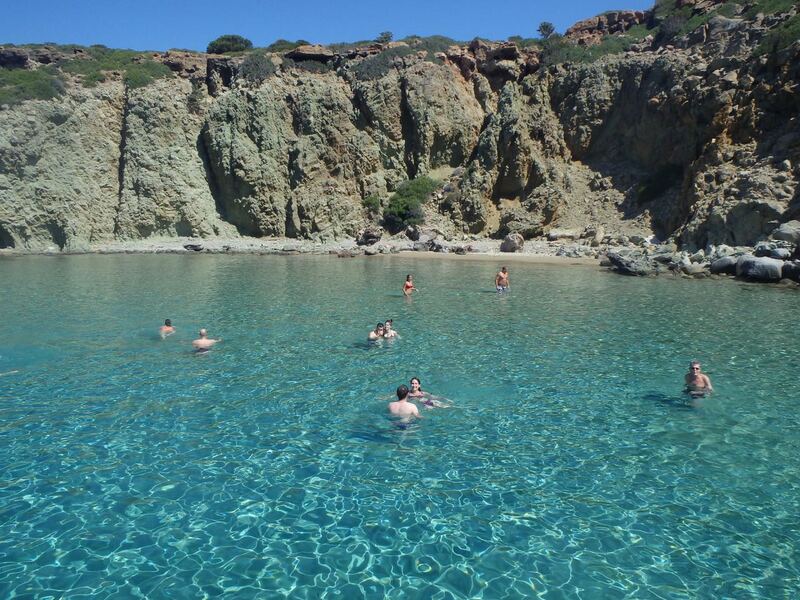 First stop for swimming is the amazing Poliegos island with the transparent waters! Next stop is the colourful beach of Firligos. We continue with stop for swimming to the amazing inaccessible beach of Gerakas which also called “Ammotsoulithres”! Finally, we in our way to return we all the stunning places at the west coast of the island (Sykia, Agios Ioannis, Triades, Agathia). Also, we pass by the traditional fishing villages of Skinopi, Klima, Areti and Fourkovouni with the colorful little houses -called "sirmata"- built by the sea side. Arkoudes, a complex of lava rocks, which takes its name by its characteristic shape; the form of a bear.